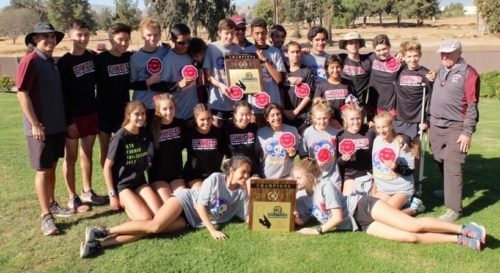 Claremont has been the strongest cross country program in the SGV for the past several years, and the Wolfpack boys are favored to defend their league and CIF Championships and to remain on top in the 2018 San Gabriel Valley Pre-Season rankings. All of the traditional SGV powers are here, with La Serna, Arroyo and La Mirada looking to have their best season in many years. Honors: CIF-SS Div. 2 Champs; Palomares League Champs; 4th place, California State Championships, Div. II. Notes: La Serna has been a team on build. Missing CIF in 2015, they advanced for the first time in many years in 2016. Last year, the Lancers took the next step, but had a bit of an off day at CIF Finals. For 2018, ranked #7 in the CIF-SS Preseason Poll, they return six of their first seven, and another incremental improvement can push them to the top of the Del Rio League and into a spot at the State Meet. Notes: Arcadia’s season has ended at CIF Finals the last several years, and they are unranked in CIF Div 1 as the year begins. They return their top two and lose four from last years CIF team, but the Apaches have remained a deep program where athletes often make big jumps. Notes: Another of the SGV’s perennial top teams, California returns only two from their 2017 Top 7. Both Salinas and Espinosa made nice progress in track, but they will need a lot of help from their teammates to remain atop their league and challenge for CIF and State spots. Look for Ethan Ruiz (9:47.69 3200) and Jonathan Ruiz (10:02.04 3200) the lead the reinforcements. Notes: CIF finalists in 2016 and 2017, Rowland have been another team on the build, but they return only two of their first five, so that building process will be tested this year. Martinez and Alcarez each had a huge track seasons, dropping 10 seconds to 4:24.95 and 4:25.96 in the 1600, but the rest of the team will need to have had a big summer. Notes: South Pas has been one the SGV’s top programs over the year, especially in the lower divisions, and this year they will be helped by moving from CIF Div. 3 to Div. 4, where they’re ranked #4 in the CIF-SS Pre-Season Polls. They return six of their first seven from 2017, so the Tigers have big hopes for this year. Their strongest track mark came from Dettman with 1:55.92 in 800, so their progress will come from the whole team incrementally improving or perhaps from an unexpected source. Notes: The Knights had a tough day at CIF Finals last year, but are ambitious to move up. Return six of their top seven from 2017, they should be able to realize that ambition. Senior front runner Noah Hibbard had a big track season, qualifying for the Masters meet at 1600, and improving to 1:55.89/4:15.82/9:21.74, but the Knights’ success will depend even more on how close 2-5 can get to Noah. Notes: El Rancho is another SGV perennial but has been a bit down the last few years. They return their top two from 2017, so they will be looking for a lot of step ups. Diego Sanchez and Isaiah Esquivel are two of the top candidates, but this is a big team, so there should be surprises. Notes: La Mirada makes a big jump into the final spot of our Top 10. Returning six of their first seven, this should be their best year in many. Of the returners, Santiago had the best track season, but they will all need a solid improvement to make this year’s CIF Finals. #15 – South Hills (’17: #17).